Fusion chose Primary Image to design their company’s banner stands for a forthcoming trade show. Using the IT company’s logo as a basis for the design, we came up with this concept that worked well with their existing branding. The text was provided by Fusion for inclusion in the artwork, whilst we sourced a number of stock images for them to choose from. 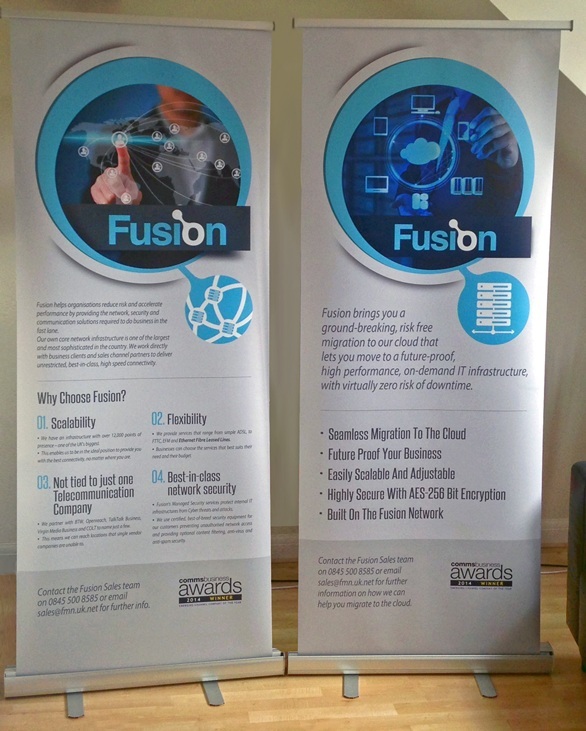 We supplied three pull-up banner stands, delivered to Fusion’s Southend-on-Sea office in Essex, ready in time for their trade fair. Fusion provides fibre-optic internet networks to businesses all across the UK. In addition, they offer cloud-based storage, firewall management, VPN solutions, along with many other IT-related services. Fusion was a winner at the 2014 Comms Business Awards. If you want to promote your IT company with our professional custom designed exhibition stands, get in touch with a member of our team. We have experience in working with IT companies, such as Fusion and Zuriel IT Solutions. 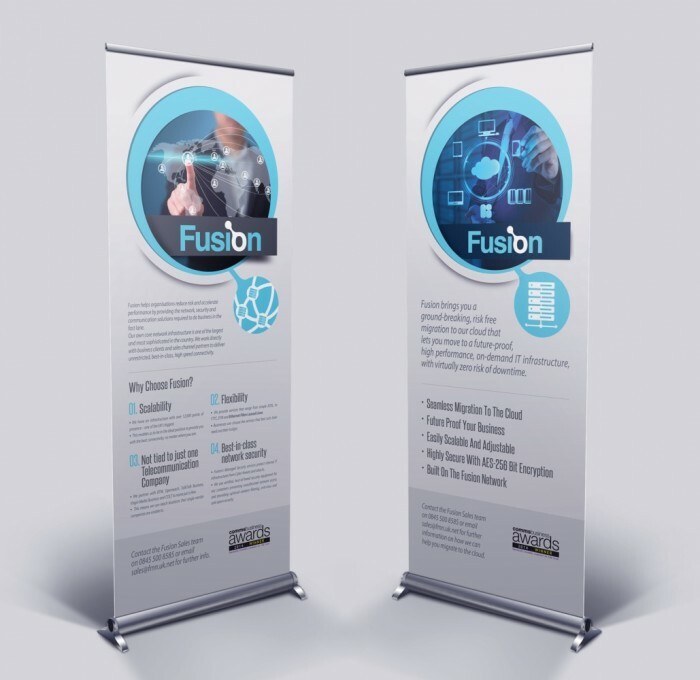 We’ve also supplied pull-up banner stands to many other organisations in the Southend and South Essex areas, including the Essex Independent Care Association and The Village.